SINGAPORE (THE NEW PAPER) - She has survived colon cancer and single-handedly raised her three children after her husband died. Then housewife Toh Siew Hong had to endure the pain and anguish of her neighbour brutally assaulting her for 18 long minutes on Sept 28, 2013. Casey Sabrina Ng, 43, viciously attacked Madam Toh, 68, just outside the latter’s front door on the 12th storey of Block 10, Chai Chee Road, leaving the grandmother bruised and bloodied. Closed-circuit television footage of the attack at the lift lobby showed Ng repeatedly punching and slapping Madam Toh until blood flowed from the latter’s face. She also stamped on the grandmother’s head at least 10 times. 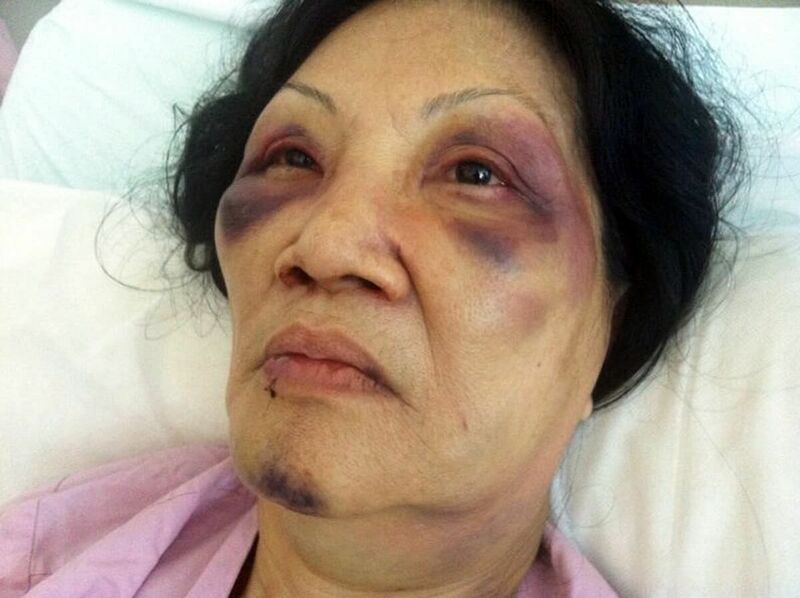 Recalling the horrific attack to The New Paper, Madam Toh said: “I begged her to stop but she ignored my pleas. “She continued kicking, beating and stamping on my head until I could taste blood in my mouth and blacked out a few times. On Tuesday (Aug 16), Ng, who is also known as Asha Verma, was sentenced to 5½ years’ corrective training (CT). On July 8, she had pleaded guilty to four counts of voluntarily causing hurt and three counts of voluntarily causing hurt to public servants. She also admitted to one count each of using criminal force on a public servant, performing a rash act, behaving in a disorderly manner and criminal intimidation. Fourteen other charges for similar offences to Madam Toh and others were taken into consideration during sentencing. CT is a prison regime for repeat offenders, lasting five to 14 years without time off for good behaviour. This was the second time Ng was sentenced to the regime. In December 2005, she was given five years’ CT for theft, disorderly behaviour and using abusive language on a public servant. Madam Toh believes Ng had attacked her because of a misunderstanding in May 2013. 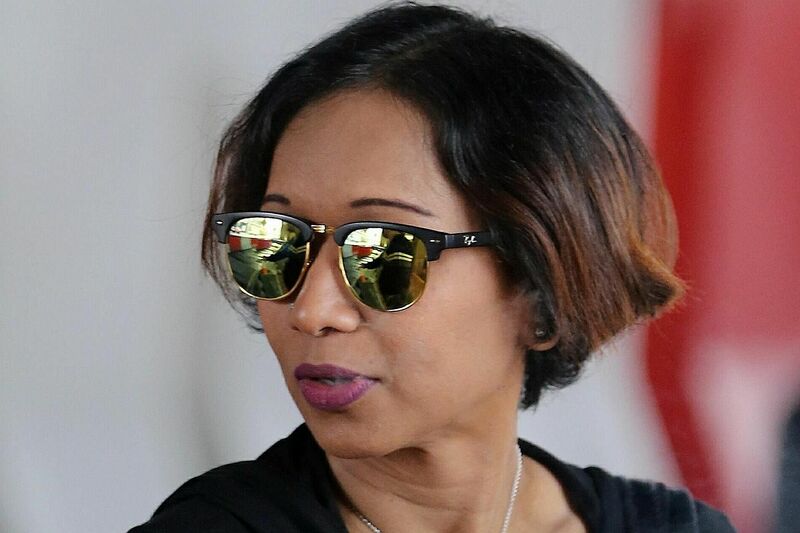 She was watching television with her second daughter, who wanted to be known only as Miss Yap, 40, around 11pm when they heard screams from Ng’s flat. Later, police came to Madam Toh’s front door to find out more about the commotion. Miss Yap said: “Somebody must have called the police about the noise but it wasn’t us. Minutes later, they heard Ng kicking their front door, screaming vulgarities and accusing them of being busybodies. Shocked, Miss Yap tried to explain to her that nobody in her family called the police but Ng refused to listen. From then on, Ng would lash out at her neighbours whenever their paths crossed. Miss Yap said: “Casey would scream obscenities and kick our door, and tried to attack my mum. Mother was terrified of her. The police confirmed that they followed up on the reports made by the victim and her family, and conducted a thorough investigation. After the CCTV camera was installed, Ng did not cause any grief to the family for about a week. Until Sept 28, 2013, when she suddenly attacked Madam Toh around 10am. The police were called and Madam Toh was taken to hospital in an ambulance. The grandmother was hospitalised for 10 days. Following her discharge, she did not return to her flat, which they have lived in since 2000, but lived with her eldest daughter for about two years to avoid Ng. They returned to the Chai Chee flat only last December, after they found out that the Ng’s household had moved out. When told about Ng’s sentence yesterday, Madam Toh felt that the sentence was too short. But she said that with time, she will forgive her attacker. Madam Yap said: “Mother still has nightmares and I’ve seen her waving her hands around and screaming in her sleep. But she won’t remember a thing when she wakes up. For each count of voluntarily causing hurt, Ng could have been jailed up to two years and fined up to $5,000. For each count of voluntarily causing hurt to a public servant, she could have been jailed up to seven years and fined. According to a psychologist’s report, Casey Sabrina Ng’s risk of imminent violence is high. In his grounds of decision on Tuesday, District Judge Mathew Joseph said it can occur in day-to-day interactions with members of the public, when she perceives them to be disrespectful or threatening. “This is both disturbing and alarming as it reveals both your volatile nature and the threat you pose to others,” said Judge Joseph. Describing Ng’s attack on Madam Toh Siew Hong as “particularly repugnant”, he added: “This in itself must have caused Madam Toh to be in utter shock and fear for her life, as she lay on the floor, hoping but not knowing when the attack would cease. Judge Joseph said Ng needed to be given a deterrent sentence to signal to both her and others that violence of any form has no place in society.